Visit the bouncy, rubber world of Rubber Land in Pattaya! 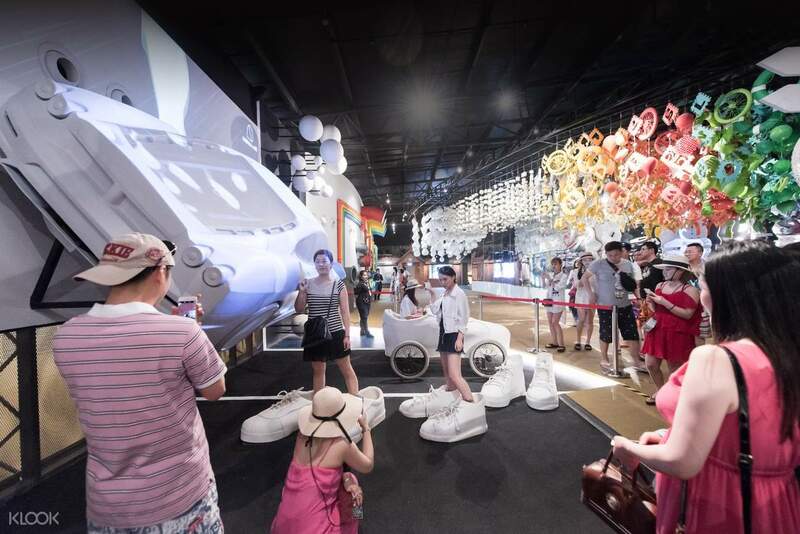 Explore Thailand's first and only rubber museum, and see creative rubber sculptures and designs! Very good activity. Children enjoyed this fun educational tour. Good play concept. Klook bookings are welcomed and provided with a guide speaking preferred language. Discover Thailand's economic roots at Rubber Land! 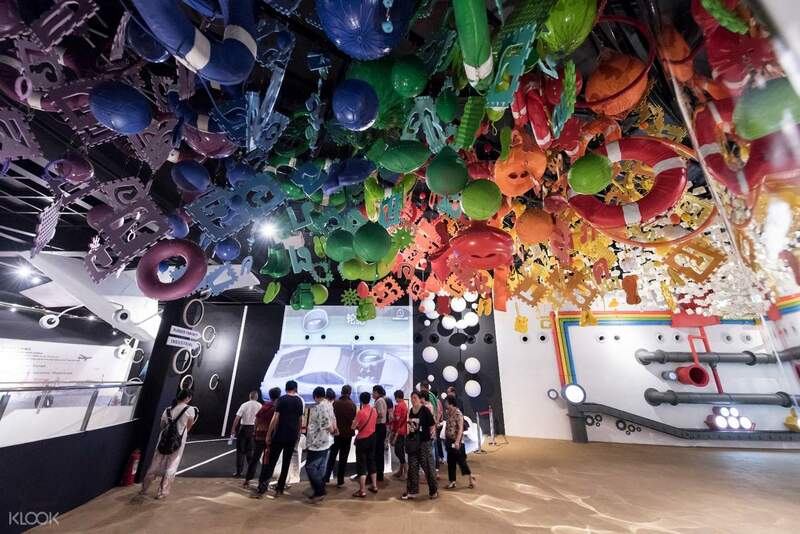 Found at the heart of Pattaya, this unique museum puts rubber – the country’s key economic product – in the spotlight. Explore the museum's six spectacular rooms full of interactive life-size installments and more. 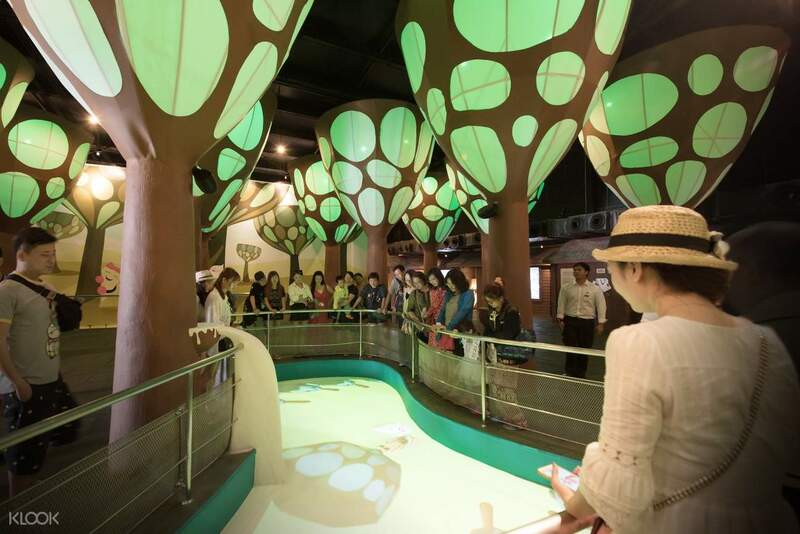 Venture into a rubber park among creative-looking rubber trees and discover how rubber became important economic goods at The Plantation zone. Continue on to The Factory zone, where a virtual guide will walk you through the amazing transformation of rubber – from the plantation, production of concentrated latex and many advanced production techniques, to the resulting products found in everyday life. Find various rubber products throughout The Rubber in Life zone - from sports equipment, automotive components to gigantic rubber shoes. Wander into the last zone, Rubber Fantasy, where it features the fantastic world of rubber in four fascinating themes; rubber animals from the tropical forests at The Jungle, recreated Thai foods and snacks in gigantic rubber forms at Thai Sweets, rubberized marine life at Under The Sea, and inspiring creative innovations of rubber design at Inspiration. Bring the kids or go with a group of friends for an educational and entertaining outing at Rubber Land! Who says rubber can't be colorful? Visit The Factory for amazing rubber installments! 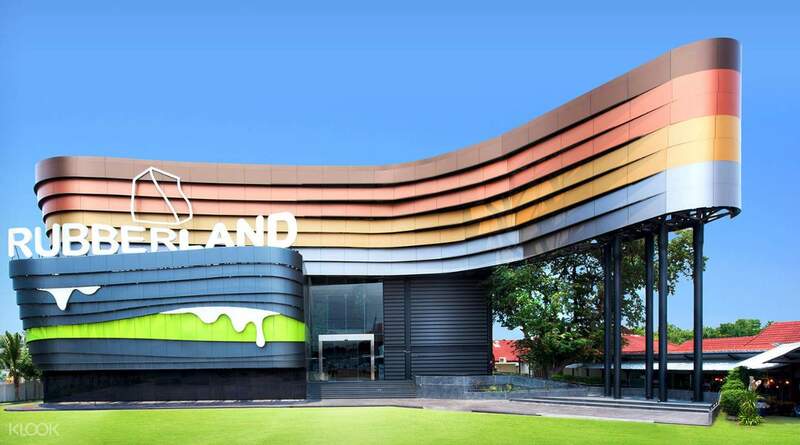 This one-of-a-kind museum is a must visit when in Pattaya! From fruits to animals, head on to Rubber Land for all things cute and rubbery! it was amazing to know how to make rubber .. my daughter enjoy there .. thank u v much. the staff is friendly and helpful. it was amazing to know how to make rubber .. my daughter enjoy there .. thank u v much. the staff is friendly and helpful. Very good activity. Children enjoyed this fun educational tour. Good play concept. Klook bookings are welcomed and provided with a guide speaking preferred language. Very good activity. Children enjoyed this fun educational tour. Good play concept. Klook bookings are welcomed and provided with a guide speaking preferred language. I forget my power bank in rubber land. but when I come reach rubber land they provide my power bank back. I forget my power bank in rubber land. but when I come reach rubber land they provide my power bank back. It is a commercial place. The museum itself is quite good and high tech. But it wasn’t big and not much to see. After that we are ushered to the souvenir shop and the employees are urging us to buy things. It is a commercial place. The museum itself is quite good and high tech. But it wasn’t big and not much to see. After that we are ushered to the souvenir shop and the employees are urging us to buy things. fun and interesting . good time there . learn alot on this rubber thing . fun and interesting . good time there . learn alot on this rubber thing . 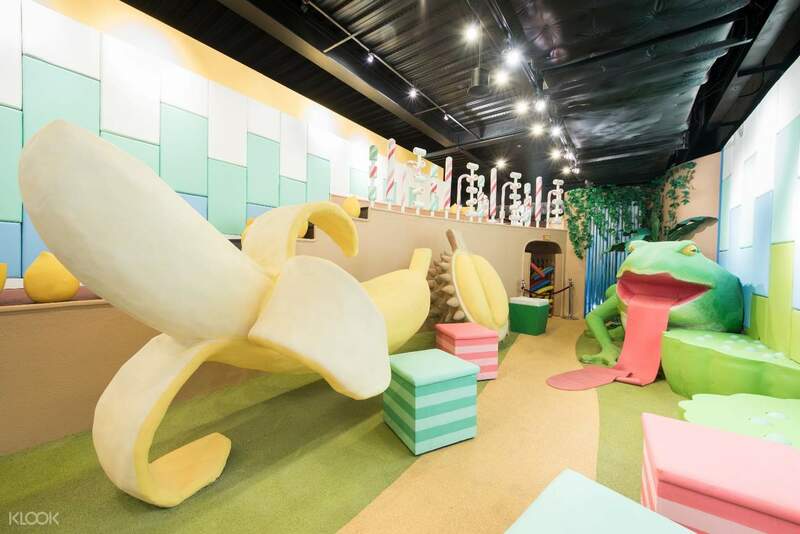 It is good for the kids but the place is so small. It is good for the kids but the place is so small. Very small attraction probably not worth going unless you have kids or want to buy some rubber products. Very small attraction probably not worth going unless you have kids or want to buy some rubber products. This is an unexpected and surprising place. I will come to Rubber land completely because I want to step on a new point. I didn't expect it to be good. First of all, the service is friendly and the environment is comfortable. Even if I am a personal traveler, there are professionals. Leading commentary (English), explaining the content professionally and willing to answer questions, know a lot about the production and use of rubber, and finally choose to slide down the stairs or take the stairs, I slipped down, everyone laughed! Convenient transportation, On the No. 3 road, the venue is small but quite new. I would recommend a trip to Pattaya for an hour to see, both cheap and content. PS: The show room behind is a rubber mattress, pillowcase and so on. It is all Luke, the price is in the middle, you can pass by directly... Overall it is a great experience! 這是一個意外令人驚喜的地方，會來到Rubber land完全因為想踩新的點而來，沒想到出乎預料的好，首先，服務親切，環境舒適，即使我是個人前往，也有專業人員帶領解說(英文)，解說內容專業認真且願意回答問題，對於橡膠的製作和用途瞭解不少，最後還可選溜滑梯下樓或走樓梯，我溜了下去，大家呵呵大笑! 交通方便，就在3號公路上，場館不大但頗新的，我會推薦前往Pattaya的旅客花個1小時來看看，既便宜又有內容。PS：後面的show room是展示橡膠的床墊、枕套等等拌手禮，全是陸客，價格中上，可以直接路過...。 整體來說是非常棒的體驗!